Spend a full day at the beach! Gather up your family or friends, grab your beach towels and head over to Frijoles Locos in Playa Grande for your Playa Grande Day Pass! 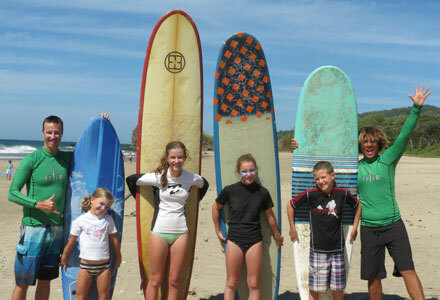 Enjoy a surf lesson with the area’s best surf instructors, then spend the rest of the day relaxing on the beach with all the equipment you could ever want: a shade tent, beach chair, boogie board, beach cruiser bicycle, a cooler with drinks and ice prepared and waiting for you… and a voucher for you to enjoy a delicious lunch in town all for a great price. Advance reservations required (day before), via email or phone and offer is based on availability. Upon arrival at Frijoles Locos Surf Shop, a valid credit card will be requested, for a security deposit on the equipment. You will check over all rental equipment with a shop assistant for damages before taking the equipment, and they will assist you in selecting the right equipment for you. A demonstration on how to set up the shade tent is essential so as to not accidentally damage the equipment. Contact us now for more information or to book your Playa Grande Day Pass vacation packages! 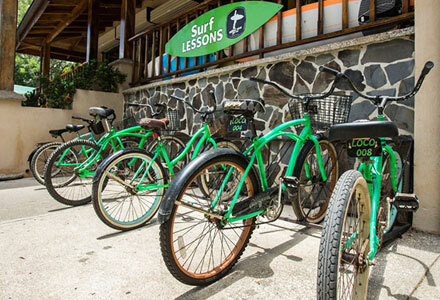 Amazing surf instructors for every level, outstanding massages, dangerously awesome retail shop , great reliable rentals and super accommodating! 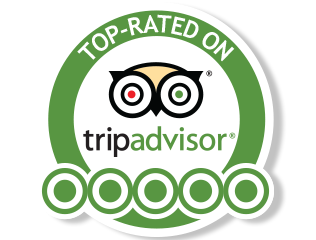 Anything you want to do in the area, the knowledgable, warm and friendly staff will take great care of you. Always extremely helpful and efficient in making arrangements in advance of arrival as well. Insane location! Can’t recommend them enough. Always my first stop in Playa Grande, should definitely be yours.